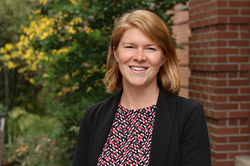 Lauren Lanahan earned her Ph.D. at the University of North Carolina at Chapel Hill in the Public Policy Department. She joined the faculty of the Management Department in the Lundquist College of Business at the University of Oregon in the fall of 2015. Her research interests include innovation, entrepreneurship, science and technology policy, and economic development. She draws upon large-scale data to critically examine the link from basic research toward market and economic activity. If scientific knowledge is a crucial source for economic growth, then precedence should be placed on identifying and advocating those institutions and reward structures that are most efficient at creating new technology and scientific knowledge. The R&D enterprise, however, continues to expand, involving numerous actors and organizations complicating its analysis for scholars. More research is needed not only to understand institutional norms, collaborations, and the nature of knowledge production, but also to inform policy that promotes optimal research. Lauren's research aims to contribute to this broad discussion and to push research in a direction that is responsive to the changing scientific frontier.